Polypropylene is a synthetic fibre used in most style carpets. This type of carpet is hard wearing & is an easy solution for commercial or residential usage. It’s easy to maintain & great for heavy duty wear areas. High traffic residential areas & medium traffic commercial areas are best suited for polypropylene carpets. They are easily steam cleaned & very stain-resistant. Nylon carpets are the most popular & are available in many styles & colours in all pile constructions. Nylon carpets are typically used for residential applications & come in a range of wear ratings for medium, heavy or extra heavy duty traffic areas. This softer surface carpet has long-term resilience & durability. There’s a solution for every room in your home with a Premium nylon carpet; the selection of colours & styles that are available to coordinate with your decor is almost endless. A good quality wool or wool blend carpet will outlast other carpet types & are suitable for both residential & commercial applications. Wool’s unique fibre structure makes it durable & hardwearing, so wool carpets keep their appearance longer. Available in a huge range of styles, wool & wool blend carpets are somewhat limited in the colour choices available. Modulated or level loop, twist & plush pile are the most popular carpet styles in wool or wool blend carpets. Wool is a natural product, & its lanolin makes wool naturally stain-resistant, however wool is porous, so Scotchgard & other similar products will penetrate rather than protect. Be sure to clean any spills straight away. It is also flame-retardant & acts as an insulator, helping to reduce ambient noise. Carpet’s most durable fibre, solution-dyed nylon carpet offers complete consistency in colour. Pigment & polymer are mixed before extrusion, so it offers a colourfastness against light & won’t fade , as well as long-term resilience, durability & superior stain resistance. The non-porous fibre can also resist odours. Solution-dyed carpet is very resistant to abrasion & wear as well as matting, which will keep the carpet looking like new for a long time. Plush Pile carpet has the same appeal as velvet; luxurious soft feel underfoot inviting you to lie down & roll on it. As with velvet, the pile direction adds another dimension with shading effect as you walk over it. Twist Pile carpets are usually manufactured in plain or 2-tone colours. 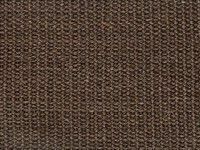 As the name suggests, the nylon or wool yarn is given a heat-set twist to include a practical dimension to the soft, inviting fell of the product. Made from fibres from the outer husk of the coconut. 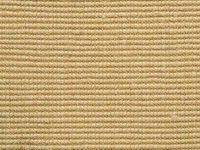 Coir carpets are produced in India where many years of practice have given the workers in this old industry, great skills in grading processing & weaving these fibres. 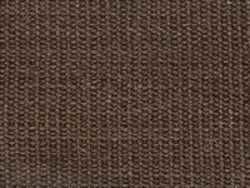 The quality of Coir carpet is determined by the type of fibre used, the weight at which the yarn is spun & whether it’s woven on a handloom or powerloom. Domestic life: 12 years Commercial Life: 4 to 7 years, dependent on foot traffic. Made from fibres stripped from the stalks of the jute plant. Jute fibres are not quite as hardy as Coir & Sisal fibres, but are softer underfoot. Domestic life: 10 years. Commercial life: 3 to 5 years, dependent on foot traffic. Mainly produced from the fibres from the conifer trees. Pulp-making process involves cooking wood chips with resin being added to give a high wet strength. When twisting the paper into yarn, a further wax emulsion is applied, improving the yarn’s water resistance. Domestic life: 5 years, dependent on foot traffic. Grown in paddy-like fields that are flooded with sea water during the crop cycle. The fibres are spun into tough strands, which, when woven into carpet & with a latex backing added for stability, will resist dirt & stains very well. Domestic life: 10 years. Commercial life: 3 to 5 years, dependent on foot traffic. Made from fibres extracted from the leaves of the Agave plant. Sisal is grown & produced in Africa, China & South America. European manufacturers have proven to be the most innovative in weaving technology. China is also producing a good quality sisal carpet, just as hardy as their European counterparts. Domestic life: 12 years. Commercial life: 4 to 7 years dependent on foot traffic. These are not like normal tufted carpets. 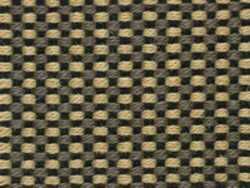 From International Floor Coverings Australia, they are made from premium quality yarn & are woven. 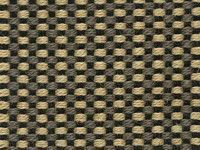 This weaving process helps eliminate pile crushing & shading that occur in normal tufted carpets. 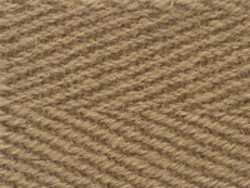 We offer a range of 100% wool or a mixture of pure wool yarns woven with flax or sisal. Domestic life: 12 years. Commercial life: 4 to 7 years, dependent on foot traffic. At Carpet Options we believe a good foundation is the difference between a so-so average carpet job & an excellent carpet job with a superior finish. That’s why we prefer to use Airstep Stepsmart underlay when we install your carpet. Airstep Stepsmart is specially formulated to provide superior underfoot comfort & outstanding durability in heavy traffic environments. With a 7mm thickness & 120kg density, Airstep Stepsmart is manufactured from high density rebonded polyurethane foam. It is highly resilient, helping your carpet to retain its comfort, shape & appearance for years to come. It provides excellent thermal & sound insulation & is unaffected by moisture & spills. 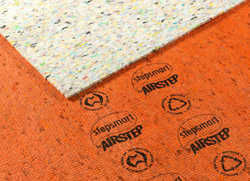 Airstep Stepsmart is suitable for all types of floors, including heated slabs. Airstep Stepsmart is Australian Made & meets Australian Standards AS 4288-2003 requirements. Airstep Stepsmart is also Green label Accredited by the Carpet & Rug Institute USA, ensuring it meets strict criteria on VOC emissions for superior indoor air quality. Manufactured from 90% recycled material, this carpet cushion is environmentally friendly, being 100% recyclable itself, able to be reprocessed into a new product at the end of its useful life. Airstep Stepsmart carpet cushion has been treated with the proven microbial Ultra-Fresh, for the effective long term control of destructive bacteria, mould, mildew & fungi. It also provides lasting hygienic freshness & effective odour protection. Airstep Stepsmart will make any carpet feel richer, thicker & more luxurious. It improves acoustics by reducing noise transfer, Extends the life of your carpet & improves carpet appearance & retention & is guaranteed for the life of your carpet.